They die daily in the life that belongs to earth, but they live in the life of the angels, just as they share in the life of the Lord. 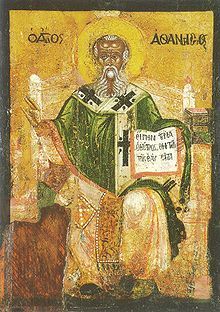 Saint Athanasius of Alexandria (c. 297 – 373) was the twentieth bishop of Alexandria. He who was a Christian theologian, a Church Father, the chief defender of Trinitarianism against Arianism, and a noted Egyptian leader of the fourth century. If he [Anthony] heard of a good man anywhere, like the prudent bee, he went forth and sought him, nor turned back to his own place until he had seen him; and he returned, having got from the good man as it were supplies for his journey in the way of virtue. He had given such heed to what was read that none of the things that were written fell from him to the ground, but he remembered all, and afterwards his memory served him for books.